Socializing your puppy means getting him used to people, places and things. 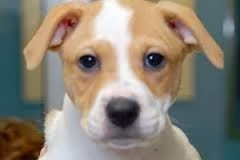 “Every time your puppy does something he’s never done, goes somewhere he’s never been, or meets a new person or a friendly dog, he’s been socialized,” who raises and shows American Staffordshire terriers. Between 7 and 16 weeks of age is a critical time in a dog’s life. A dog will never forget what he learned in those 9 weeks, says Walkowicz. “His experiences, good and bad, will leave a permanent mark on his personality, making him outgoing or shy, happy – go – luck or cautious, eager to learn or resentful of authority. Your puppy needs to be exposed to the world outside so he can learn how to live happily with all that goes on around him. He will decide for himself what’s safe and what isn’t, but he needs your steady guidance. With you there to help him, he will be introduced to a friendly world and grow up confident and outgoing. Taking your puppy with you when you visit a friend socializes him. So does meeting a friendly stranger while out for a walk, playing with another puppy, or examining a soccer ball. Your puppy needs to meet senior citizens, toddlers, bearded men, women in sun hats, teenagers with skateboards and people pushing strollers. He needs to walk on carpet, linoleum, grass and pavement. He needs to learn to climb steps (start by placing him on third or fourth step and letting him walk down) and to ride in the car. There are two cardinal rules for socializing a puppy, says Brown. Never pet him when he’s afraid and always praise him for being brave. “When your puppy seems fearful, do not reassure him with petting and soothing words because he will interpret your actions as praise,” Brown explains. He will repeat what he is praised for over and over, so a hesitant stance could become his learned reaction to anything new. On the other hand, never jerk him toward the objects he fears. Treatment like that could turn a little trepidation into total terror. Set an example. If your puppy is afraid to go near something, leave him where he is and go yourself, says Brown. “Handle the objects as it if were winning lottery ticket and invite your puppy to join you. Sitting down beside the feared object works well. Your puppy will probably start creeping over, but hold your praise until he at least touches the thing with his nose.” If the object isn’t breakable or too large, roll it away from, never toward your puppy. This might awaken his chasing instinct and entice him to play with the object himself. Ask a Friend to Help. If your puppy is afraid of people, have a friend toss a dogs treat his way. She should then ignore the pup and chat with you. When your pup comes nearer, as he surely will, your friend should kneel down and make herself seem friend and nonthreatening. When your puppy comes in for an exploratory sniff, your friend should hold her hand low, reach under the puppy’s chin and tickle him on the chest, advises Brown. Reaching over the puppy’s head could make him back up in fright. If your puppy doesn’t approach, don’t force him, but give him a lot more socialization. Get other friends in on the act and set up situations where your puppy will be enticed into approaching. Link Noise with Niceness. If loud noises send your puppy behind the sofa, Brown advises announcing his favorite things with sound. If he loves to eat, mix his meal in a metal pan with a metal spoon before giving it to him. Don’t make a racket; keep the volume realistic. Eventually, he’ll learn that loud noises can mean nice things and be less likely to jump out of his skin.